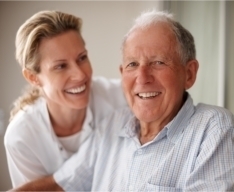 Physical therapy is one of the most enjoyed home care services. With the various benefits it can bring to your homes, physical therapy programs are in lined towards meeting needs in handling physical outcomes of injuries, illness, accidents and other limitations we have acquired or we are born with. Our physical therapy program has components that will help you promote health and wellness. Our services include body mechanics, motion range and flexibility exercises, orthopedics, muscular training from spasms and strains, strength and mobility exercises, pain management exercises, pediatrics, balance development exercises, post surgery care, mobility and transportation assistance. Our physical therapists are skilled in using various supportive equipments to aid in transporting the patient. We are also able to provide wheelchairs and similar devices upon client request. Home Care Experts, Inc. is open to make adjustments to suit your physical therapy needs.